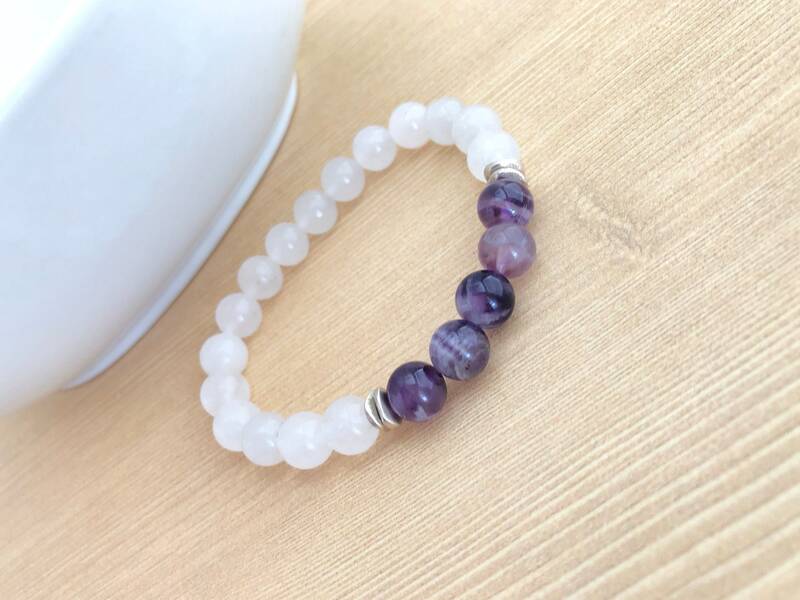 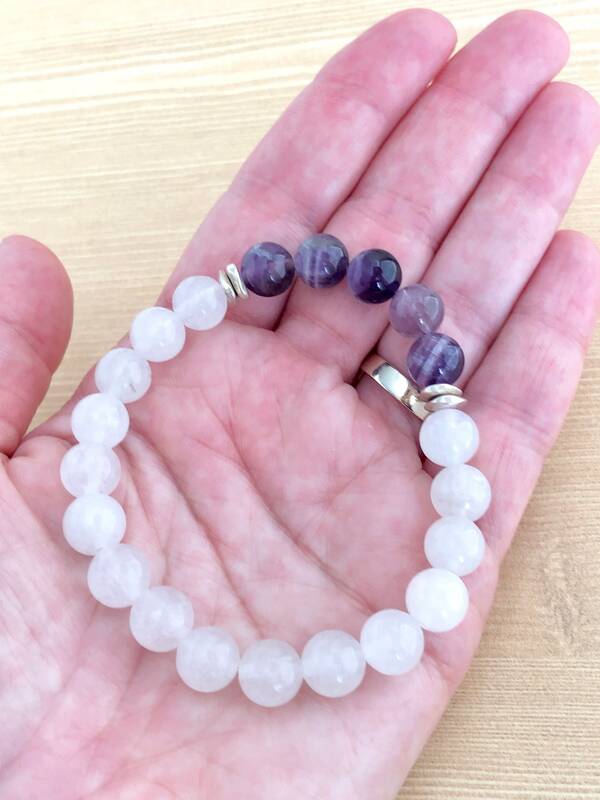 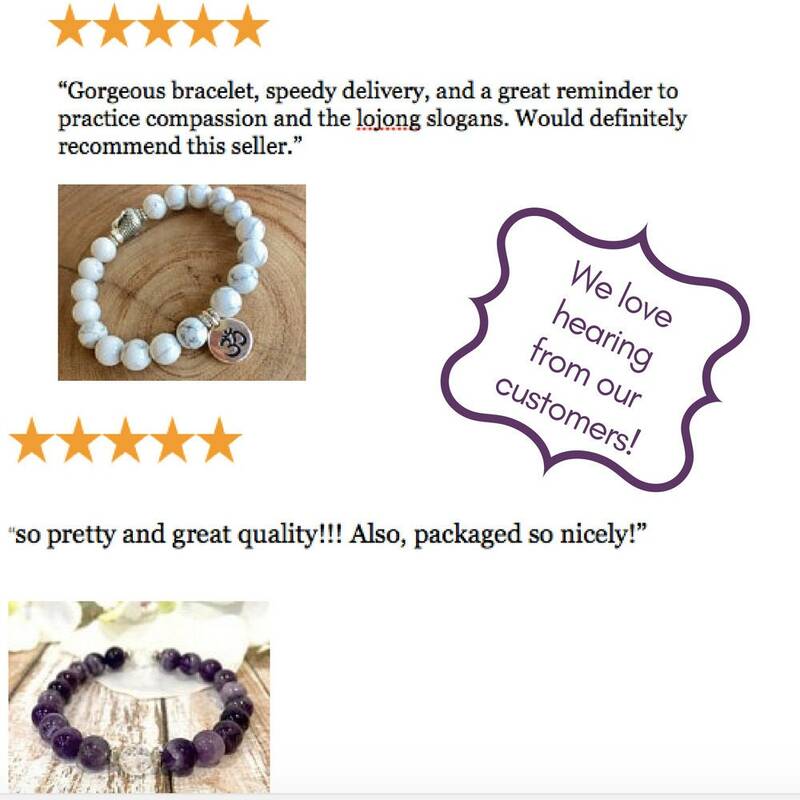 This fabulous amethyst bracelet, made with both white quartz and purple amethyst beads, would make a spectacular gift for the yoga lover in your life, or give it to that special woman with a February birthday. 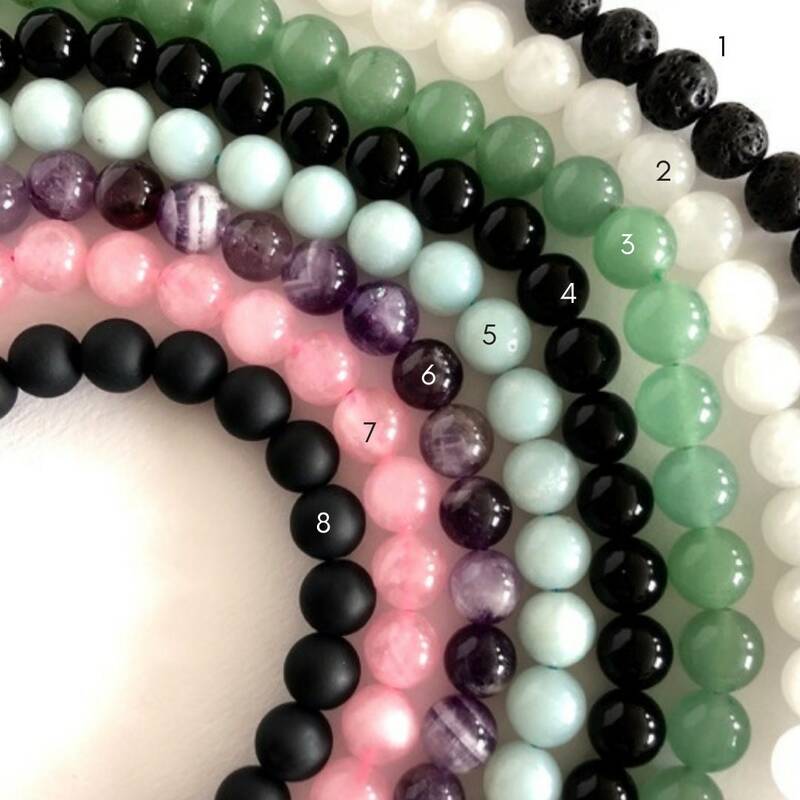 Customize this healing crystals bracelet, by choosing from 8 different gemstones, to make your bracelet more personal. 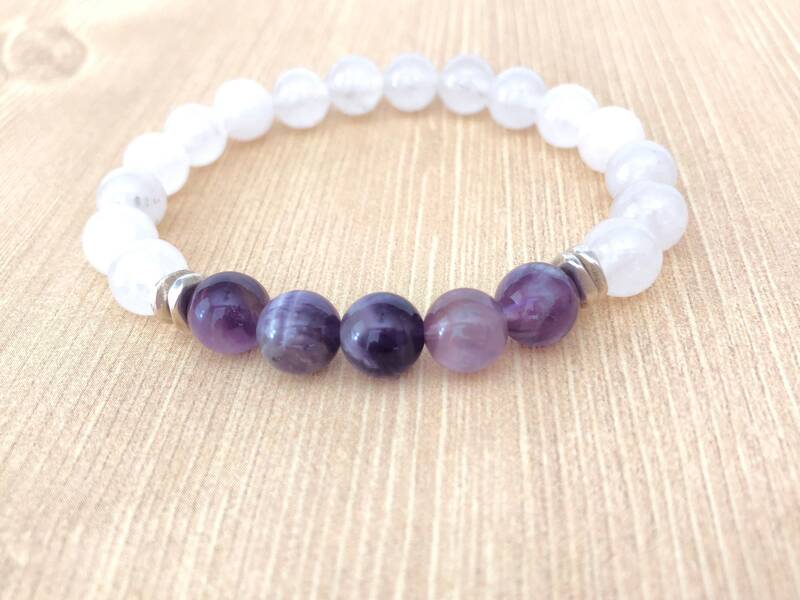 Amethyst is believed to increase right brain activity, enhance the immune system, relieve headaches, bring positive energy to the wearer. 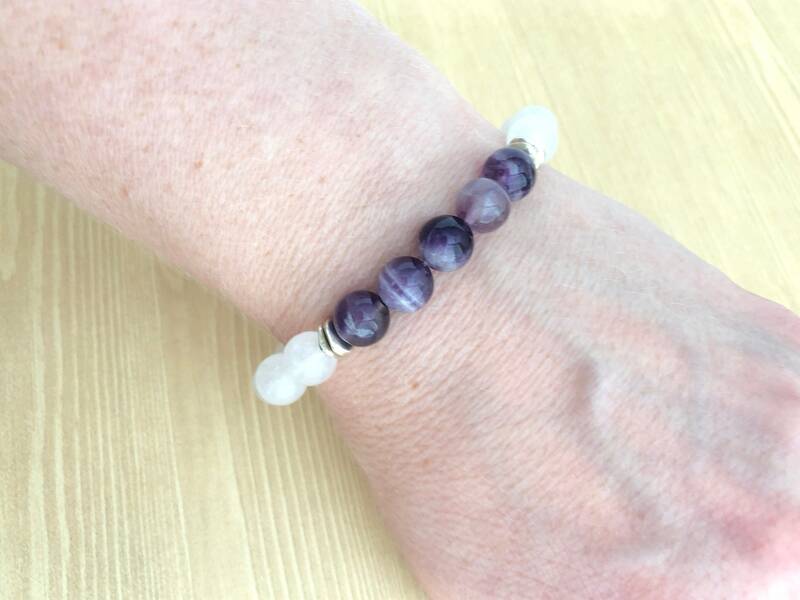 White Quartz, is a said to provide peace and to the spirit of the wearer, and is also believed to aid in mediation and enhance the immune system.